A team led by University of Idaho researchers is calling into question a widely publicized 2016 study that concluded eastern and red wolves are not distinct species, but rather recent hybrids of gray wolves and coyotes. 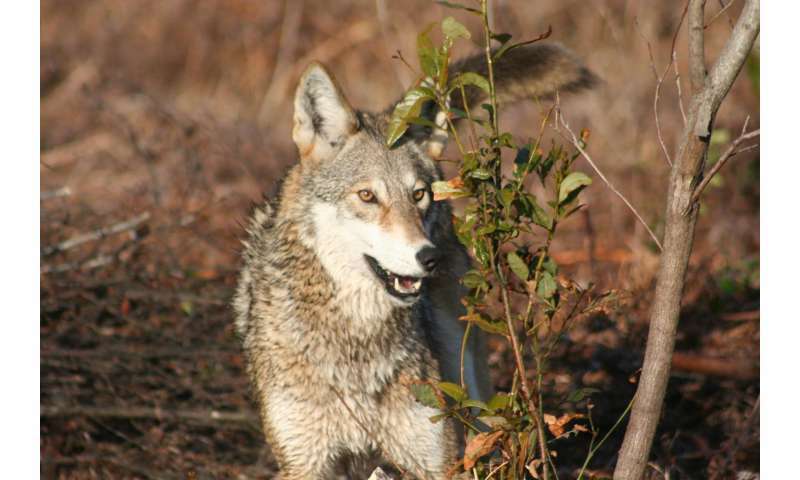 In a comment paper that will publish Wednesday, June 7, in the journal Science Advances, the team examines the previous study and argues that its genomic data and analyses do not definitively prove recent hybridization—but rather provide support for the genetic and evolutionary distinctiveness of red and eastern wolves. "The history of these species is complex and certainly contains evidence for hybridization in the past. The question is timing," said Paul Hohenlohe, an assistant professor of biological sciences in the UI College of Science and the lead author of the comment paper. "The data and analyses aren't actually a good test of recent vs. older hybridization. 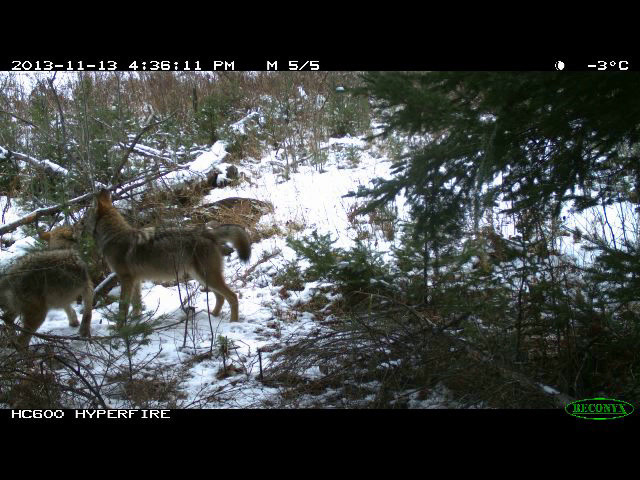 In fact, the data are consistent with red and eastern wolves having a long evolutionary history as distinct lineages." Hohenlohe co-authored the paper with an interdisciplinary team that included co-lead author Linda Rutledge, a research associate in the biology department at Trent University in Ontario, Canada; Lisette Waits, a Distinguished Professor in UI's College of Natural Resources Department of Fish and Wildlife Sciences; UI research scientist Jennifer Adams; UI postdoctoral researcher Kimberly Andrews; and other researchers from Trent, the University of Georgia and Northland College. The team agrees with one conclusion of the previous study: Admixture is a part of the evolutionary history of North American canids, and conservation policy needs to take into account naturally occurring hybridization and population admixture. But they urge policymakers not to close the case on the origins of red and eastern wolves when making conservation decisions. "Policymakers are making decisions about how much money, effort and energy to put into recovery and management efforts of the red wolf and eastern wolf," said Waits, who has served on U.S. Fish and Wildlife Service recovery teams for the red wolf. "It is important for them to understand that the conclusions stated in the vonHoldt et al paper are not universally supported by the scientific community, and there are alternative interpretations and remaining questions about the evolutionary history of canids in North America." The UI-led team addresses several concerns with the previous study, which was led by Princeton University's Bridgett vonHoldt and published in Science Advances in July 2016. The team questions the vonHoldt study's use of genomic data from a few individual coyotes and eastern wolves that may not be the best representatives of those groups, as well as the authors' conclusion that genomic data demonstrate a lack of unique ancestry in red and eastern wolves. The team's review of the vonHoldt study's analyses of genomic data finds the data do not establish definitive evidence for a recent hybrid origin of red and eastern wolves, but rather are consistent with multiple evolutionary possibilities. These possibilities include red wolves originating from a hybridization event tens of thousands of years ago, or diverging as a distinct lineage as long as 100,000 years ago and experiencing some subsequent hybridization. The UI-led team finds that other data from the previous study, such as the amount of unique genetic variation found only within red or eastern wolves, further support the genetic distinctiveness of these taxa. Hohenlohe, Waits and their collaborators are conducting further analyses about red and eastern wolf origins, and expect to continue to generate new data and hypotheses about the evolutionary relationships among these species, the gray wolf and the coyote. "Genomics is an exciting new contribution to wildlife conservation, but it brings with it a responsibility to provide a coherent interpretation of complex data within the context of natural history," Rutledge said. "This is especially important for species at risk of extinction where the consequences involve the permanent loss of evolutionary potential. We get closer to the evolutionary truth when we use a holistic approach that includes multiple sources of information." Are those Great Lake wolves or wannabes?